US Federal Reserve chief Janet Yellen reviewed monetary policy during her testimony to the Senate Budget Committee and the Joint Economic Committee and said that there is a rebound in spending and production currently under way. She said that the US economy will end the year better than last year with GDP growth moving at a “somewhat faster pace” than 2013. “With the harsh winter behind us, many recent indicators suggest that a rebound in spending and production is already under way, putting the overall economy on track for solid growth in the current quarter,” she told the Joint Economic Committee of Congress. However, she said that the economy still required considerable fiscal assistance, pointing to the near-zero interest rate policy. Stock markets around the world had wobbled earlier in the week in anticipation of her report and were looking for any indications that the Fed could modify its low interest rate policy in light of the above-forecast jobs data which showed that 288,000 new jobs were injected into the economy in April. More importantly, however, are figures related to GDP growth and unemployment. Last week, the Department of Commerce reported thath the US economy was sluggish during the first quarter of the year registering only 0.1 annual growth, mostly attributed to the harsher-than-normal winter chill. A day later, the Department of Labour released April unemployment figures which beat analysts’ forecasts by 37 per cent, bringing down the rate from 6.7 to 6.3 per cent – the lowest level since September 2008. 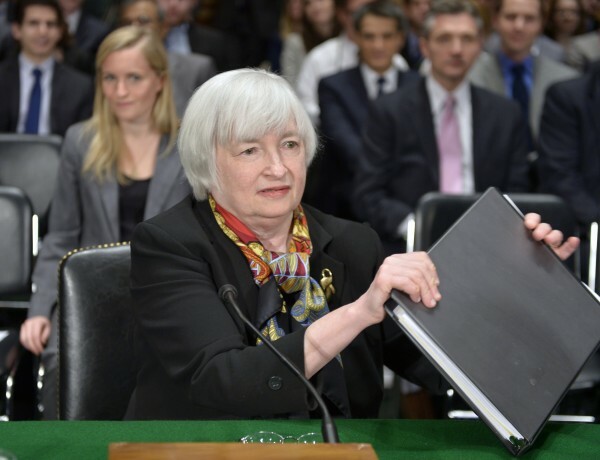 Two weeks ago, Yellen said that the US labour market will reach “full employment” in two to three years, and that interest rates are likely to remain unchanged for some time.